Step away from the cake mix! 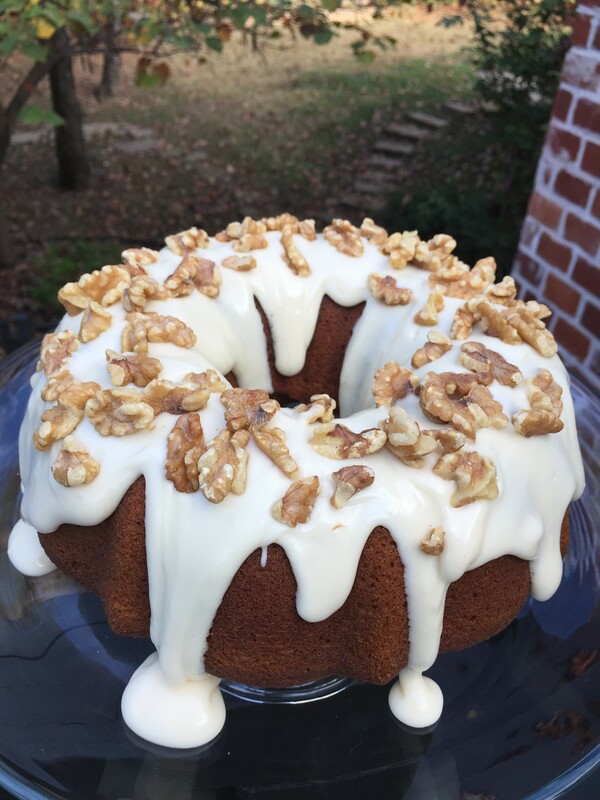 This Pumpkin Spice Cake is not only easy, but doesn’t take any longer than a boxed mix. The Browned Butter Glaze takes an extra minute, but if you’re feeling unsure about it, leave it out! Just cream the butter in with the cream cheese and call it a day. But the browned butter gives the glaze an extra depth of flavor that goes so well with the sweetness of the cake. Combine eggs, sugar, vegetable oil, and pumpkin and mix with electric mixer until smooth. Whisk together flour, baking powder, cinnamon, baking soda, salt, ginger, and cloves in a separate bowl. Stir flour mix into pumpkin mix until well blended. Spread batter into Bundt pan. In a small saucepan, melt butter over medium heat. Continue to cook, stirring constantly, until the butter releases gets foamy and just starts to turn golden, about 4 to 6 minutes. Remove from heat, pour browned butter into a small bowl to cool slightly (try to keep the solids out of the bowl, but it’s ok if some get in). Use an electric mixer to combine browned butter, powdered sugar, cream cheese, and vanilla. Add milk until a pourable consistency is reached. Garnish immediately with toasted walnuts. Copyright © 2015 Our Everyday Dinners - This is an easy recipe for how to make Pumpkin Spice Cake with Browned Butter Glaze.